My kids love the Just Dance series and they love their Wii. 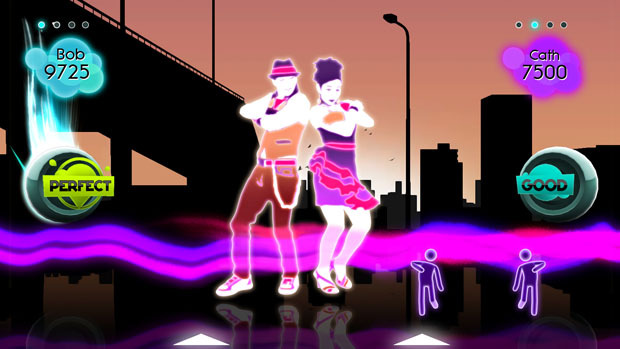 They love the collection of Just Dance games because of the songs and the sheer fun of dancing. I'm delighted that they like it because it gets them moving and having fun. The Just Dance Summer Party is packed full of summer fun tunes that includes songs from Katy Perry who they love! They were dancing and grooving while working up a sweat. This Summer Party version has over 20 tunes that are from the 80's, 90's and current and although you might think a child would grumble over the 80's and 90's music, they are the catchy dance tunes and some are from movies they are used to like Kung Foo Panda. One of the features they liked was being able to dance together and when one doesn't want to play, they can dance solo. 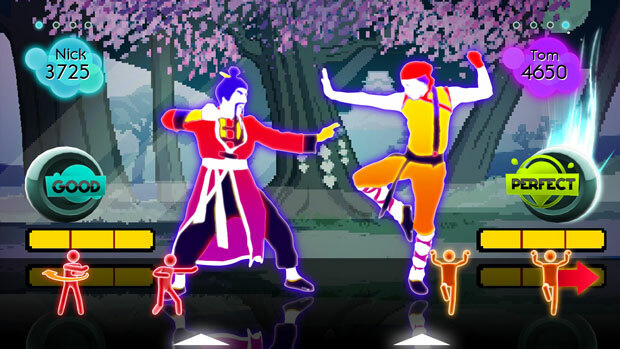 They are both competitive so they really enjoy the dance offs to see who will score the highest. This video shows them cranking it up to Katy Perry's Firework. After this one, my eight year old said, "Oh, I had enough, I'm sweating!" In this video, they were dancing and just giggled over the alien who dances with them. You can hear how giddy my youngest is on the video. A Band of Bees - "Chicken Payback"
Estelle feat Kanye West - "American Boy"
The Supremes - "You Can’t Hurry Love"
V V Brown - "Crying Blood"
Love Letter - "Why oh why"
Nick Phoenix and Thomas Bergersen - "Professeur Pumplestickle"
The Hit Crew - "Here Comes The Hotstepper"
The Lemon Cubes - "Moving On Up"
The Reverend Horatio Duncan &amp;amp; Amos Sweets - "Down By The Riverside"
The World Cup Girls - "Futebol Crazy"
Game Exclusive -- Sweat Invaders - "Funkytown'"
It can have up to four player local support and with the dance battle, dance party or sweat option, there are more ways to engage the family and have fun while getting a workout! Overall, they just love the Just Dance Summer Party and I think it's now their favorite one. My youngest said, "this is cool, Mom!" She really has had a great time playing it. We received it on Thursday and she's played it each day. If you like to dance or your kids like to dance, this is ideal to purchase especially if you are looking for some fun family time, want to get the kids moving or to exercise. I love it as well. You can purchase Just Dance Summer Party by clicking on the title. Thank you to Ubisoft for sponsoring this UbiChamps blog post. Please click here to learn more about Ubisoft. I was selected for this sponsorship by the Clever Girls Collective. All opinions are my own.